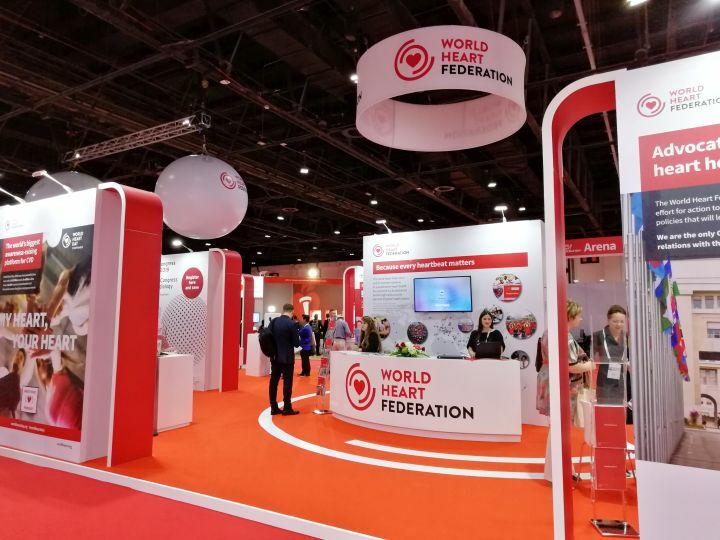 In Dubai today, Professor David Wood, President of the World Heart Federation, welcomed more than 5000 cardiologists, doctors, nurses, and health and policy experts from around the world to Dubai for our World Congress of Cardiology and Cardiovascular Health 2018. During the next three days, WCC 2018 will have the privilege of convening leading figures in cardiovascular health to share ground-breaking research and technologies advances, offering a truly global perspective on the challenges of bringing heart health to national agendas and reducing the global burden of cardiovascular disease. 2018 is also WHF’s 40th anniversary and a number of past Presidents will be attending he Congress to mark this occasion, including Professors Valentin Fuster and Salim Yusuf, among others. On 6 December the tallest building in the world, the Burj Khalifa in Dubai, will light up with an interactive video about the importance of early screening for prevention of CVD and the link between high cholesterol and CVD. The three-minute public awareness video will be broadcasted in English and Arabic at 8:10pm.